In early 2017, Amazon will open its first Amazon Go store that is likely the future of grocery shopping (or shopping in general), assuming they want this to be. Think of a shopping experience where there are no cashiers or lines or self-checkouts and all you need is a smartphone. That’s Amazon Go. So wait, how is this going to work? Amazon says that they have created a store that uses the same technologies you’ll find in self-driving cars. We’re talking computer vision, sensor fusion, and deep learning, all of which combined make up “Just Walk Out” technology. As that name suggests the idea behind Amazon Go stores is for you to walk in, grab what you need and then just walk out. As you enter a store, all you need to do is scan the Amazon Go app on your phone and it prepares for you to start shopping. Then, you just grab the items you need, toss them in a bag, and walk out when finished. By utilizing that Just Walk Out technology, the store recognizes items as they are removed from or even put back on store shelves. When you leave and walk out, you will then be charged for the items you have grabbed. Again, you do so without checking out, without waiting in line for a cashier, or without swiping at a check stand. The Amazon Go store, at least in this first version you’ll see in the video below, reminds me of Trader Joe’s in a way. Amazon describes it as an 1,800 square foot space that carries staples like milk and bread, yet also has ready-to-eat meals and snacks, artisan cheeses, locally made chocolates, and chef-designed meal kits. It’s not a full-blown grocery store, but it could be a sweet spot to grab a quick lunch or dinner or some of the other essentials in a hurry. 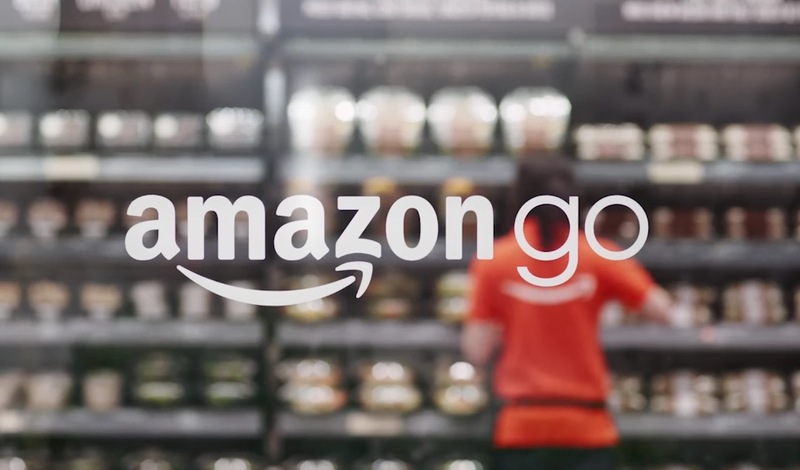 The Amazon Go store is located in Seattle and is currently only open to Amazon employees as a beta. In early 2017, it should open to the public, as long as you have a supported phone and the Amazon Go app installed. You can learn more at Amazon’s site. Be sure to watch the video below.